If you are like most Americans, you have at least heard of—if not visited—popular Mexican destinations Cancun, Los Cabos and Ixtapa. What you likely haven’t heard of is Loreto, a tiny fishing village poised to cash in on the next big tourism boom. Since being selected for development as resort towns by Mexican federal tourism agency FONATUR, Cancun, Los Cabos and Ixtapa have undergone huge tourism booms and price appreciation. 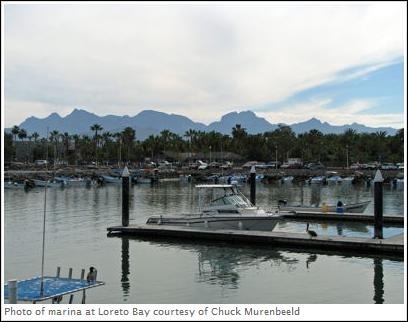 FONATUR has recently turned its attention to Loreto, building infrastructure and developer relationships that suggest Loreto will soon join Mexico's list of tourism heavyweights. Baja California extends south from southern California and shares many of the same attractions, including a warm, sunny coastal climate and beautiful beaches. Unlike California, however, prices are much more affordable. "Baja is geographically the Florida of the West Coast," Jim Grogan, president and CEO of Loreto Bay Company, said. "If you can imagine an opportunity...to purchase and develop seaside resorts in Florida 100 years ago, that's the opportunity that exists in Baja." "There's really no affordable beachfront left in southern California, and everybody's hungry for their place in the sun," Alan Axelrod, Baja investor and managing member of Axelrod Capital Management, LLC, said. Americans are quickly discovering the charms of life across the border, along with its attractive prices. More than half a million American citizens live in Mexico, according to the State Department. 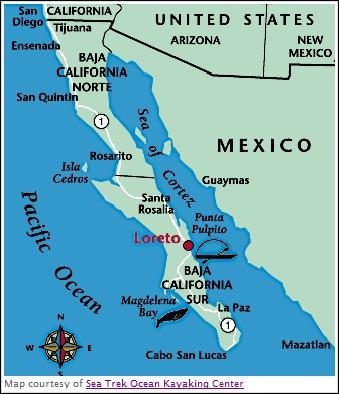 Just a two-hour flight from Los Angeles on the east cape of Baja California Sur, Loreto is located in what is still a relatively undeveloped area with low prices in comparison with California or with popular Los Cabos, which is located at Baja's southern tip. 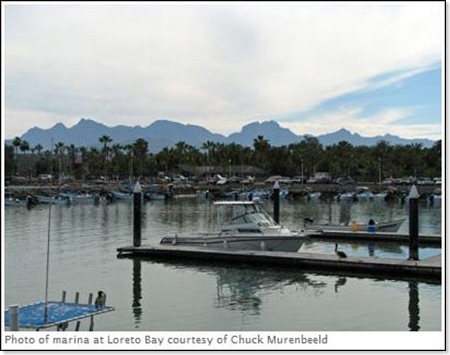 Home prices in Loreto range from $130,000 USD to $865,000 USD, while land costs run from $40 per square meter near the highway to $200 per square meter on the water, Linda Neil, an accredited buyer representative and real estate consultant based in La Paz, said. Construction costs average about $75 to $80 per square foot for new home construction, and costs are a little higher for remodeling an existing structure, she said. Demand for properties in Loreto is likely to increase as high prices in Los Cabos and on the U.S. side of the border cause would-be vacationers, retirees and second-home buyers to seek more affordable markets. Thanks to FONATUR, Loreto has received more than $200 million in infrastructure improvements, Grogan said. This gives it a distinct advantage over most of Baja, in which limited infrastructure acts as a "barrier to entry," he said. Infrastructure advances have included Loreto's own international airport though which Alaska and Delta Airlines offer nonstop service from LAX and Continental Airlines offers nonstop service from Houston, Grogan said. FONATUR also built a marina, two hotels and a golf course, and put in roads, water, sewer, utilities and water/sewer treatment plants, Grogan said. A state-of-the-art hospital is in progress and is set to open this year, he said. 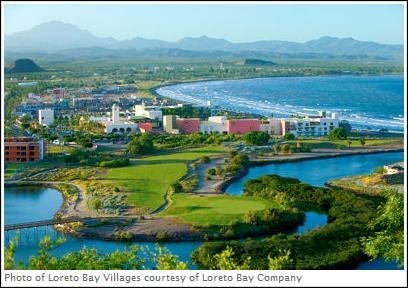 In spite of the fact that Loreto has only 14,000 residents, a regional plan has already been developed that designates where the hotel district will go, where the housing will go and where the commercial nodes will be, Axelrod said. 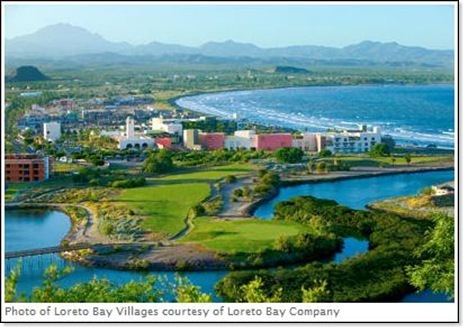 Loreto is unique among FONATUR's projects in that FONATUR is working with Loreto Bay Company on "a different plan of development...low rise, no hotels blocking the beach, pedestrian friendly, villages with no cars...working with these sustainability principles which it had never really paid much attention to before," Axelrod said. "There's a sustainable way of developing where you can literally improve the environment, and improve the quality of air and water, and add more biodiversity, more biomass," Grogan said. The Loreto Bay Company's development is not the cheapest place in the area, Axelrod said. Even so, its prices are "a third the cost of a similarly situated project in Cabo, and...a sixth to an eighth of the price of southern California," Grogan said. Relaxed zoning requirements make it easy to do thoughtless development in Baja, and the challenge is to have American investors come in and both make money and keep Baja sustainable and livable, Axelrod said. 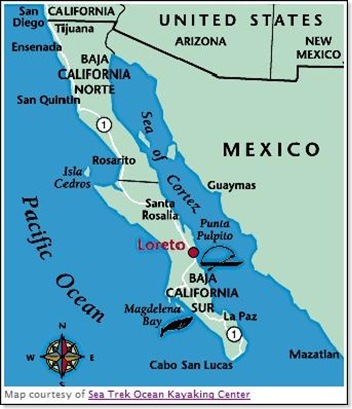 Loreto was the original capital of Baja California back when the state reached all the way up to the southern border of Oregon, Grogan said. "San Francisco reported to Loreto, Los Angeles reported to Loreto, San Diego reported to Loreto. It was the center of government, center of culture." "The very first mission of all the California missions is in Loreto," Grogan said. "This is a town that has rich history, rich architectural interest and a wonderful community in this tiny little village." 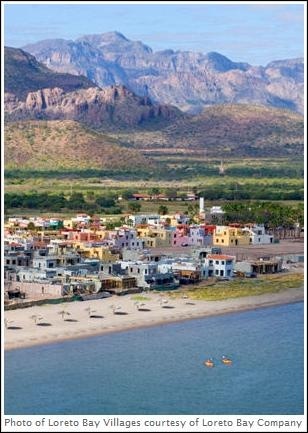 Natural beauty, including the Sierra de la Giganta mountain range and the Sea of Cortez, make Loreto a natural ecotourism destination. Water sports such as fishing, diving, kayaking and swimming are growing popular, Neil said. 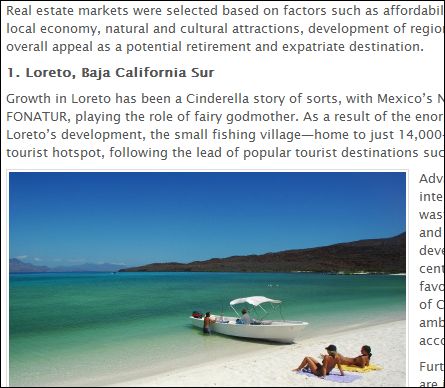 While vacation rentals in Loreto have a lower demand than those in Los Cabos, Loreto's demand should grow as Loreto develops into a tourist hot spot with more amenities, entertainment and infrastructure. As tourism grows, so will demand for rental properties. 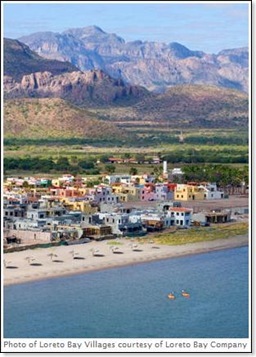 Many people are already purchasing retirement and second homes in Loreto, which should also realize price appreciation. In addition, raw land offers opportunity as the city grows outwards. Investors should pay attention to whether the land has access to water and has the potential for installing a septic system, in case sewer does not become available soon. Tourist services, such as bars, restaurants, water sports and ecotourism, are another area of opportunity, and affordable housing for service providers is yet another, Axelrod said. "It takes a lot of people to service the tourist industry, and they have to have a place to live." Water and energy needs are an area of concern in Baja, and that may offer an investment opportunity in alternative energies such as solar and wind, Axelrod said. Mexico has laws protecting property from foreign ownership in certain restricted areas, such as zones near the coast or border. Because Baja is so long and skinny, the entire peninsula is a restricted zone in which foreigners can't directly own property, Neil said. However, structures have recently been developed to allow foreign ownership of properties in restricted zones (see Mexican Property Ownership for details).